Extravagant with deer motif. The ring has a diameter of about 20 millimetres and is made of nickel-free metal. 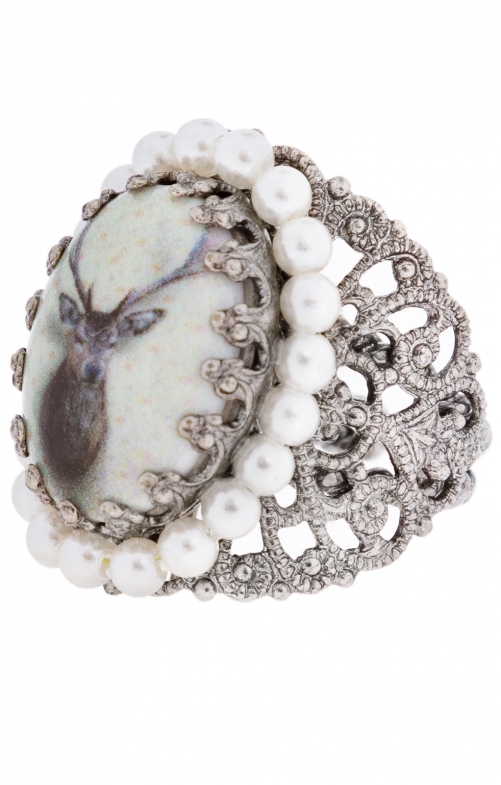 Finely chiselled and set with pearls, the ring is extremely expressive and a real eye-catcher. The matching necklace with the same motif is also available.